Dog grooming is one of your dog's basic needs and an important part of dog ownership. Just like people, dogs need physical maintenance to look and feel their best. Fortunately, dogs do not need to bathe as often as people, but it is still important to wash and groom them on a regular basis to ensure a healthy coat and healthy pet. How often you need to groom your dog will depend on the breed, length and type of hair, as well as your own living environment. Buddy's Mobile Dog Wash is the first and best Mobile Dog Washing service in the Paphos / Polis Chrysochous area and one of the first in Cyprus. Mobile Dog Wash means, we groom your pet in the convenience of your own home. Your dog will receive a total one on one experience. There are no others dogs around to frighten or intimidate your dog and your dog will never be caged or left alone to dry, ensuring your dogs grooming experience will be a pleasure from start to finish. Buddy’s Mobile Dog Wash offers a convenient, professional, safe and reliable service to 'man's best friend'. When you make an appointment with Buddy's Mobile Dog Wash, your furry companion never leaves the view of his home. So look out for our dog grooming trailer and let us come to your home or office for a hassle-free mobile dog wash experience. We are reliable and prompt which means we turn up on time or inform you if there are any delays! 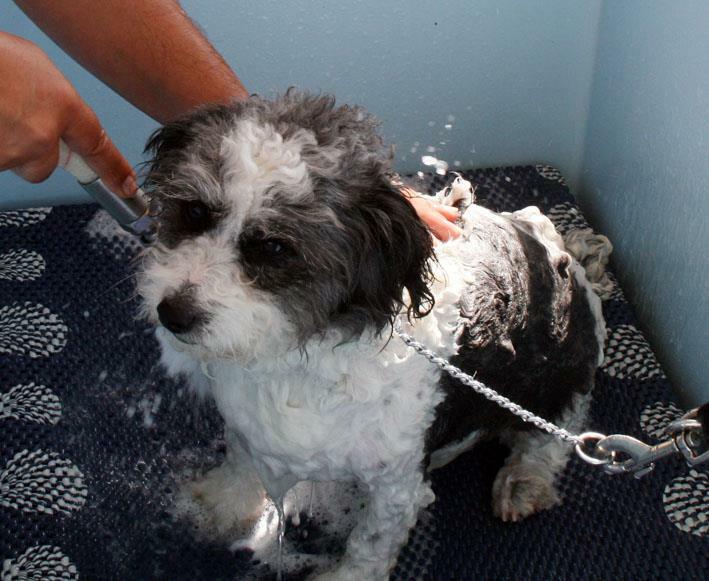 At Buddy’s Mobile Dog Wash we understand the needs of you and your dog. Our mobile dog groomer provides a professional, friendly, prompt and comprehensive mobile dog grooming service to give your dog the treatment he or she deserves. We always follow any dog grooming instructions which may have been issued by your veterinarian. Specially formulated and Natural shampoos and careful clipping are all part of the service.